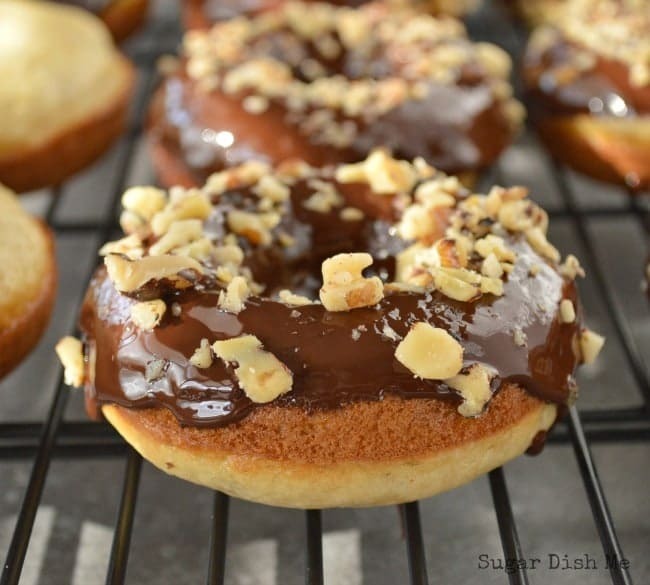 Baked banana donuts dipped in dark chocolate and sprinkled with walnuts. 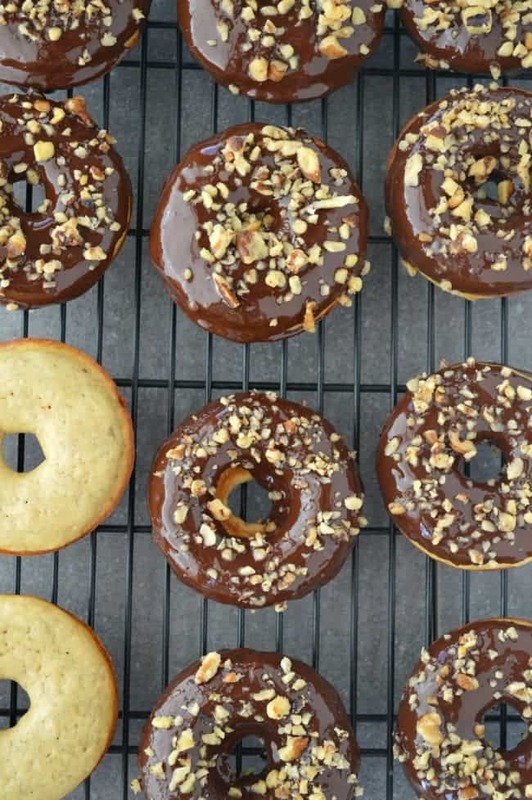 Chunky Monkey Banana Donuts were inspired by the ice cream flavor known by the same name — loaded with fresh banana, rich dark chocolate, and crunchy walnuts. I feel like I might be really bad at this whole January thing. Am I supposed to be posting lots of quinoa and salad? Because my winter brain is definitely focused on burgers and donuts. 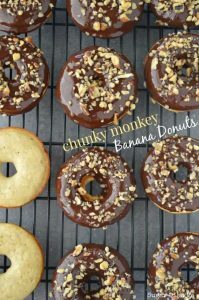 I’ve had Chunky Monkey Banana Donuts on the brain for awhile now. It was time they turned into a real live thing. Let’s first discuss my love for banana desserts. Banana bread was the first thing I ever learned how to make. When I was pregnant with Evan I craved banana milkshakes like nobody’s business. It was a dangerous craving because I was working 3rd shift in a diner and had lots of bananas and ice cream at my disposal.I probably had a few 2 a.m. milkshakes too many. And then there’s Chunky Monkey Ice Cream. Banana Ice Cream with dark chocolate and walnuts — one of my favorites of all time. I love you, Ben & Jerry. 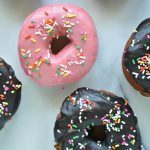 Soooo… I made these donuts (do you say donuts or doughnuts? I can never make up my mind) that taste sort of like banana bread. Okay… they taste exactly like banana bread. But I added some sour cream and a little oil in place of the usual stick of butter. 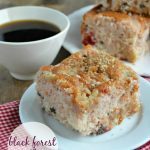 They turned out soft and moist and perfectly banana cake kind of spongy. After they cooled a little I dipped the donuts in melted dark chocolate and then sprinkled them all over with chopped walnuts. These are perfect chunky monkey bites of breakfast happy. I love that donuts are breakfast food. 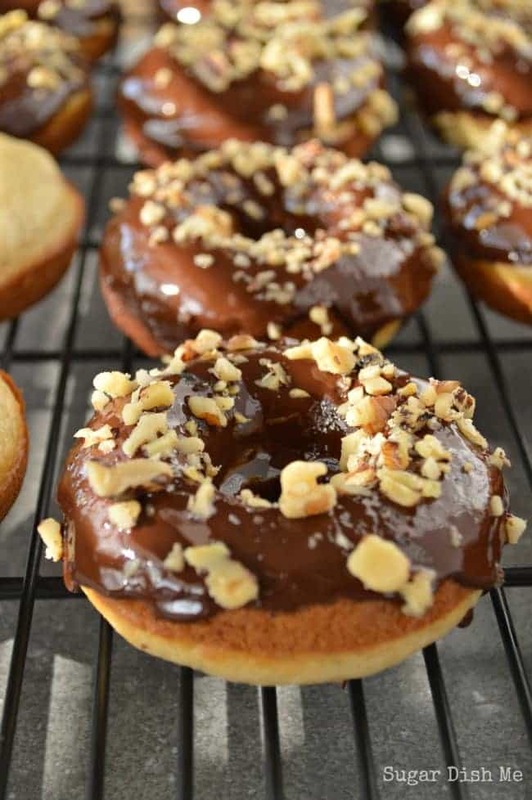 Moist baked banana donuts topped with dark chocolate and chopped walnuts. Chunky Monkey Banana Donuts are easy to make and are inspired by the flavors of that ice cream by the same name. Preheat the oven to 375°F. Spray 2 standard size donut pans with nonstick cooking spray. In a large bowl whisk together the flour, sugar, baking soda, and salt. Make a small well in the center of the dry mixture. Add the eggs, milk, sour cream, mashed banana, oil, and vanilla. Stir until the mixture is just combined and then spoon the batter into the prepared donut pan, filling each cup just below the lip of the pan. Bake for 8 minutes. A pick inserted into the center will come out clean. Let the donuts cool in the pan for a few minutes before removing to a rack to cool completely. While the donuts cool, melt the chocolate in a small saucepan over low to medium low heat, stirring constantly. (You can also do this in the microwave, heating at 20 second intervals and stirring in between until the chocolate is melted and smooth). Dip each donut in the melted chocolate. I like to dip the half that was in the pan (the darker half) because I think it looks prettier. Sprinkle the chocolate with the chopped walnuts. The chocolate will set up as it cools. 1. Use good quality chocolate. 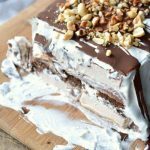 It will melt more easily and set up better, plus it tastes better! Adapted from my Chocolate Kahlua Doughnuts Recipe. I’m going to have to go buy a donut pan. I also craved banana milkshakes when I was pregnant. 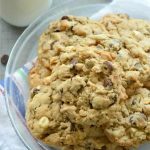 They are so good, I won’t keep ice cream and bananas in the house at the same time anymore! Banana milkshakes are THE BEST! Glad I’m not alone. And yes! Donut pan! 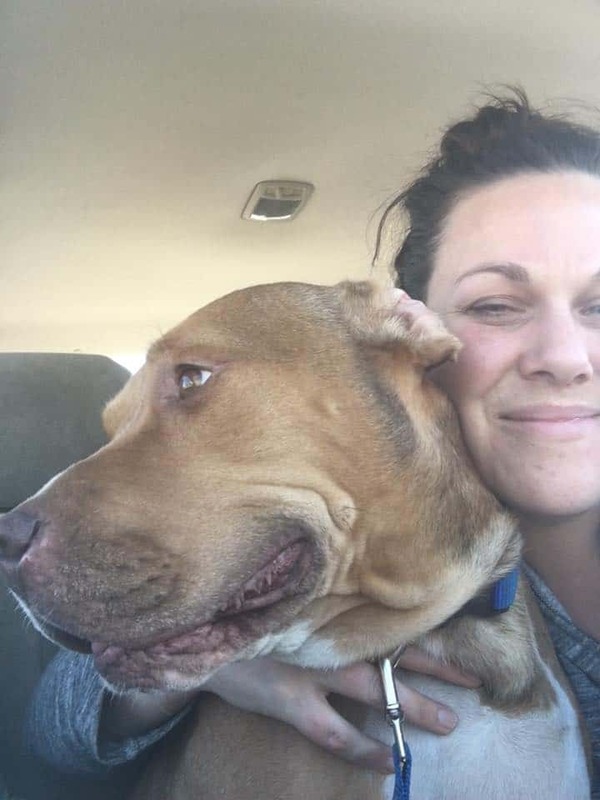 You’ll be happy you have it. Yep, gonna have to make these soon. They look amazing!